China's Jiangsu mold industry has developed very rapidly in recent years, and has formed its own distinct characteristics. It is understood that these characteristics are mainly reflected in: First, rapid development of mold, equipment level and mold level has been greatly improved. Secondly, the mold industry has been continuously optimized, and the proportion of large-scale, sophisticated, and complex molds has increased significantly. Third, the process of mold standardization, commercialization and professionalization has been accelerating and the development of the mold industry has been promoted. Fourth, the companyâ€™s digitization and information technology have been paid attention to, and the research and development cycle has been significantly shortened. Fifth, the company's independent innovation has received attention and brand molds are gradually being formed. Sixth, the mold city with agglomeration effect has a strong momentum of development. 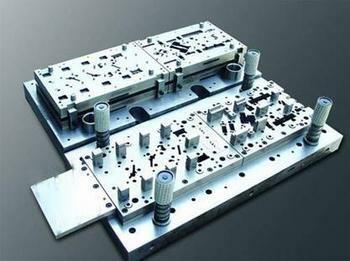 In addition, the emergence and development of Die City is also a major feature of its mold industry development. In recent years, the development of Jiangsu Mould City has been very hot. It has set up supporting platforms such as testing centers, information centers, trading centers, training centers, etc. to adapt to small-batch, diversified market demands, coupled with supporting logistics support and obvious price advantages. , with greater competitiveness. It is understood that at present, Kunshan Mould City is under construction. In the future, it is also set to prop up the local mold industry.